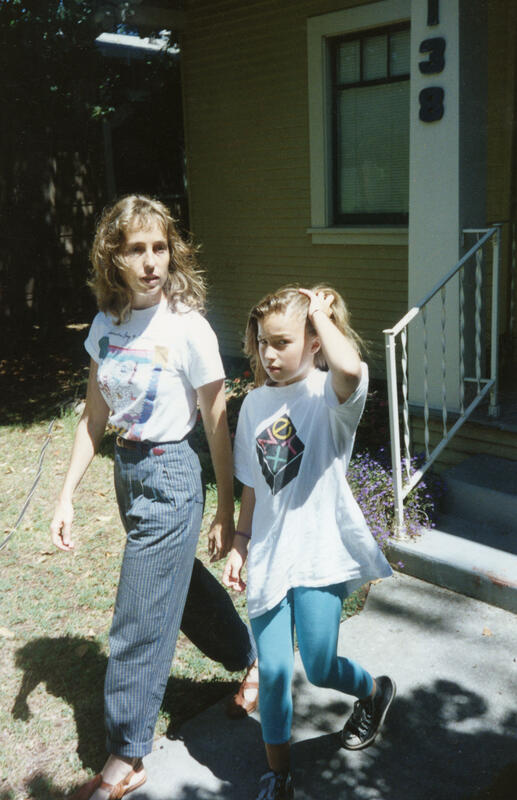 The author of Small Fry, Lisa Brennan-Jobs, walks with her mother, Chrisann Brennan, in Palo Alto, Calif. in the early 1990s. Lisa Brennan-Jobs is now 40 years old and lives in Brooklyn. Lisa Brennan-Jobs was born when Steve Jobs was young and focused on his work, and he didn't want to be a father. But in her book, Brennan-Jobs is trying not to present herself as a victim. "When I started writing it, there was a lot of self-pity," she says in an interview. "I would try to get the reader to feel bad for me and it turned out that it doesn't really work on the page. ... So what I had to do was go back into the stories that weren't working and understand where my part in them was. I mean, a friend said to me: 'Hey Lisa, I knew you then. You kind of got your way. I don't really believe this victim stuff.' "
As an example, she notes that there was no "working heat in the downstairs part of the house when I lived with my dad." It could be read that her father was depriving her room of heat — but she demurs. "No, but the truth is Northern California doesn't really get that cold," Brennan-Jobs says. "I could have changed rooms if I'd needed to. It was a stand-in for something else, and I'm not saying that it's not an element of the story, but when I could see underneath my own stories and sort of was on to myself a bit, it opened the book up for me." It might be noted: Small Fry did not sit well with other members of Steve Jobs' family. Jobs' wife Laurene Powell Jobs, their kids, and his sister Mona Simpson put out a statement saying the book "differs dramatically from our memories of those times. The portrayal of Steve is not the husband and father we knew. Steve loved Lisa, and he regretted that he was not the father he should have been during her early childhood. It was a great comfort to Steve to have Lisa home with all of us during the last days of his life, and we are all grateful for the years we spent together as a family." Brennan-Jobs: My mother had kept the fact of my father alive for me in the sense that she — she knew him well, she knew his better nature and she knew he was my father. So she had, I think quite skillfully, kept him alive for me so that when he did decide to become more a part of my life there was a place for him in my heart. Martin: How did you walk through the world knowing that you were the daughter of Steve Jobs? How did you navigate that part of your identity? Martin: Right, it didn't scratch the itch. Brennan-Jobs: Well, also, it didn't seem real, right? Like, I didn't have the clothes that a kid with a famous rich dad would have, I didn't have the house, I didn't have the mannerisms, I didn't have the sense of entitlement. And I don't mean that in a bad way, I just — we didn't have the stuff. So I'd pull it out to try to make myself feel better or feel special. You know, these are things that I might have wanted to hide when I was writing the book. And I kind of just decided to jump into the points that I was ashamed of and see if it would resonate with other people. I think he knew that he hadn't done right by me, and he was also very young. But then there was something that he did later in my life which is — a lot of people might have then shoved money at me to try to compensate. But of course, money later doesn't compensate for money earlier. Money can be detrimental for kids. And I guess I would say about myself, like, I might have settled for it — I probably shouldn't say that. ... I just think, like, if he'd bought me a pony and bought everything I wanted, I think I might have been falsely soothed. I think both of us went off and on. But there was a time when I was living in London after college. We weren't really in touch, and I — missing him, some misguided attempt to connect with him — I checked his website, and he said he had three children and not four. Oh, and I was so upset. Just this feeling of always wanting to be on the inside but being on the outside. And I guess the thing is: If you're on the comfy inner circle, you don't need to write a book to understand your life. But it was very painful to feel this kind of whiplash of being his daughter and then not being his daughter. And I actually called him at work and left a message and asked and told him about the work bio, and I called my aunts and I called my mom and I tried to get them to change it. Which of course is a little sad because someone changes something because he asked them to be different ... and he changed it for about a week and then it was changed back — I don't know what happened. He was apologizing ... we had a kind of Hollywood ending, which I didn't think would happen. So strange. You see these movies where people apologize in the end and you think there's no way that it will ever happen in life, but it did happen. And he was saying this phrase, "I owe you one, I owe you one," which was so confusing to me. But it was soothing. But I think, still, I had to go over it in my mind again. And the real resolution for me came more in writing the book — even more than our last conversation. Bo Hamby, Emily Ochsenschlager and Jessica Smith produced and edited this interview for broadcast. Patrick Jarenwattananon adapted it for the Web. The book "Small Fry" is a memoir of a girl growing up in 1980s California. She's raised by her single mom, a struggling artist. And the two are always moving from place to place, never able to make ends meet. The author says it's a universal coming-of-age story amid the scent of eucalyptus and West Coast sunlight, except the writer's father is Steve Jobs, the founder of Apple. 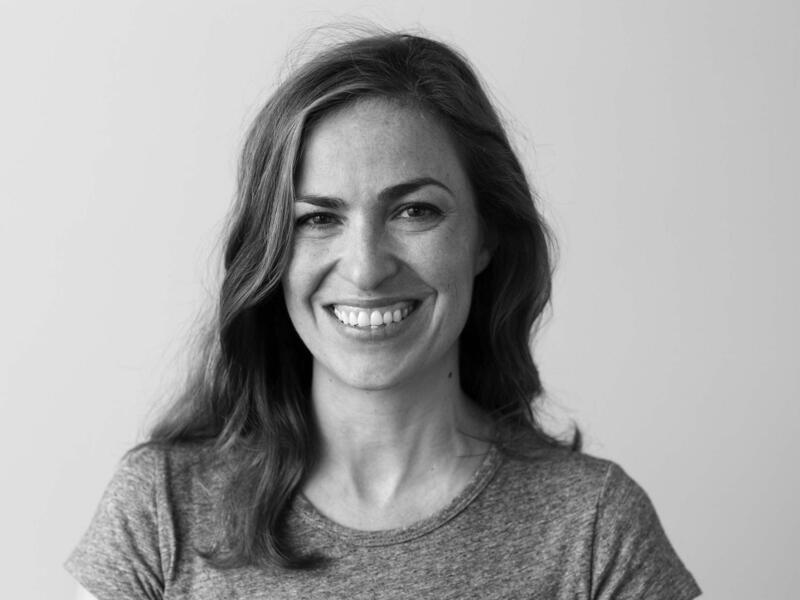 Lisa Brennan-Jobs was born when Steve Jobs was really young, focused on his work. And he didn't want to be a father. In her book, though, Lisa Brennan-Jobs is trying not to present herself as a victim. LISA BRENNAN-JOBS: When I started writing it, there was a lot of self-pity. I would try to get the reader to feel bad for me, and it turned out that it doesn't really work on the page. MARTIN: Why did you want to do that? BRENNAN-JOBS: 'Cause I felt bad for myself, and I felt very ashamed, I think. So what I had to do was go back into the stories that weren't working and understand where my part in them was. I mean, a friend said to me, hey, Lisa, I knew you then. You kind of got your way. BRENNAN-JOBS: I don't really believe this victim stuff. BRENNAN-JOBS: For example, I had a lot of pity around the fact that we didn't have working heat in the downstairs part of the house when I lived with my dad. BRENNAN-JOBS: And I would sort of use this story to get pity from other people, and it works. MARTIN: I mean, yeah, even in the book. I read that, and I'm like, he was depriving you of heat in that room? BRENNAN-JOBS: No, but the truth is Northern California doesn't really get that cold. I could've changed rooms if I'd needed to. It was a stand-in for something else. And I'm not saying that it's not an element of the story. But when I could see underneath my own stories and sort of was on to myself a bit, it opened the book up for me. MARTIN: How did you think about Steve Jobs before he admitted that he was your father? How did you think about this guy who would show up and take you roller-skating in your neighborhood? BRENNAN-JOBS: My mother had kept the fact of my father alive for me in the sense that she knew him well. She knew his better nature. And she knew he was my father (laughter). BRENNAN-JOBS: So she had, I think, quite skillfully kept him alive for me. So that when he did decide to become more a part of my life, there was a place for him in my heart. BRENNAN-JOBS: I didn't have a nice - well, also it didn't seem real, right? Like, I didn't have the clothes that a kid with a famous, rich dad would have. I didn't have the house. I didn't have the mannerisms. I didn't have the sense of entitlement. And I don't mean that in a bad way. I just - we didn't have the stuff, so I'd pull it out to try to make myself feel better or feel special. You know, these are things that I might have wanted to hide when I was writing the book. And I kind of just decided to jump into the points that I was ashamed of and see if it would resonate with other people. MARTIN: I think it's fair to say that when it came to sharing his financial wealth, Steve Jobs was not necessarily that generous towards you when you were younger. Examples, he rushed to sign a child support agreement just four days before Apple went public, making him worth more than $200 million. You and your mom asked him for help to buy a house in Palo Alto, and he bought it for himself instead. Why do you think he did those things? BRENNAN-JOBS: I think he knew that he hadn't done right by me, and he was also very young. But then there was something that he did later in my life, which is - a lot of people might have then shoved money at me to try to compensate. But of course money later doesn't compensate for money earlier. Money can be detrimental for kids. And I guess I would say about myself, like, I might've settled for it. I probably shouldn't say that. I might have - I just think, like, if he bought me a pony and bought everything I wanted, I think I might have been falsely soothed. MARTIN: It is clear throughout the book that despite all of that, not just the financial deprivation but also how he kept himself away from you - I mean, there was a distance, a coldness during your childhood. But you loved him throughout. You revered him even throughout, but did you ever allow yourself to be angry at him? MARTIN: It's not the same. BRENNAN-JOBS: And he changed it for about a week, and then it was changed back. I don't know what happened. MARTIN: What was your last conversation like with him? BRENNAN-JOBS: He was apologizing. And he was - we had a kind of Hollywood ending, which I didn't think would happen - so strange. You see these movies where people apologize in the end, and you think there's no way that it will ever happen in life. But it did happen. And he was saying this phrase, I owe you one, I owe you one, which was so confusing to me. But it was soothing. But I think, still, I had to go over it in my mind again. And the real resolution for me came more in writing the book, even more than our last conversation. MARTIN: Lisa Brennan-Jobs. Her new memoir is titled "Small Fry." Thanks so much for talking with us. BRENNAN-JOBS: Thank you so much. MARTIN: "Small Fry" did not sit well with the rest of the Jobs family. Steve's wife, Laurene Powell Jobs, their kids and his sister Mona Simpson put out this statement, saying the book, quote, "differs dramatically from our memories of those times. The portrayal of Steve is not the husband and father we knew. Steve loved Lisa, and he regretted that he was not the father he should have been during her early childhood." Transcript provided by NPR, Copyright NPR.